2016-up Camaro 6 Door sills are meticulously crafted and GM licensed. 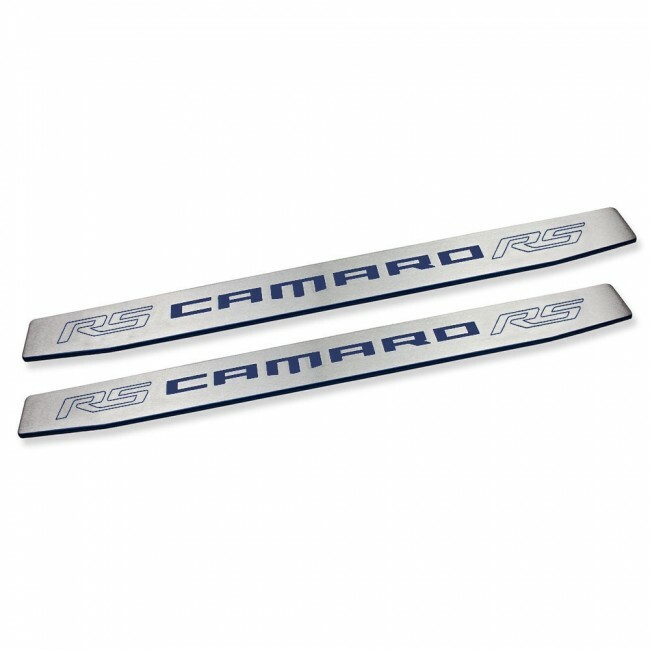 These replacement doorsills are made from premium aluminum billet featuring a brushed finish and accented with durable OEM colormatched paint as rich and lustrous as the paint on your Camaro. Comes as a set of two and complete with adhesive-backed with automotive tape for easy installation.